Happy Wednesday! What are you reading today? Me? So excited to finally start reading this one. I didn't even watch the movie. Perfect for fans of the Hunger Games and Maze Runner series, Divergent and its sequels, Insurgent and Allegiant—plus Four: A Divergent Collection, four stories told from the perspective of the character Tobias—are the gripping story of a dystopian world transformed by courage, self-sacrifice, and love. 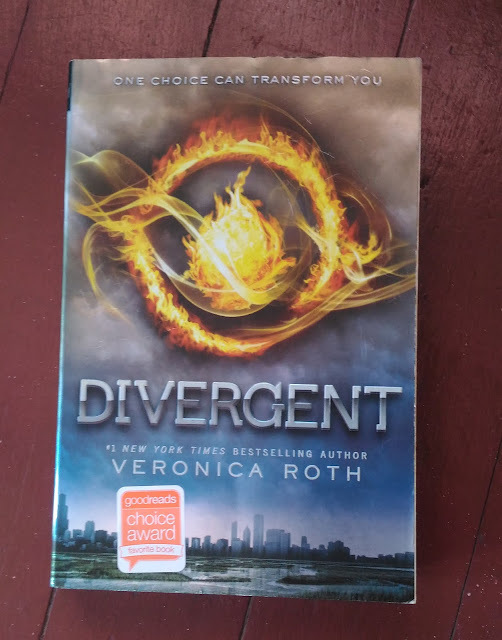 Fans of the Divergent movie will find the book packed with just as much emotional depth and exhilarating action as the film, all told in beautiful, rich language. Have you read this already? What are you reading right now? I just finished reading Divergent after seeing the movie twice. I read Insurgent before seeing the movie, but am rereading it before I go on to Allegiant. Then I will watch the final movie. I prefer reading the books before seeing the movie. Me, too! I prefer reading the book before watching the movie. It just makes sense that way. Thanks for stopping by, Bonita!